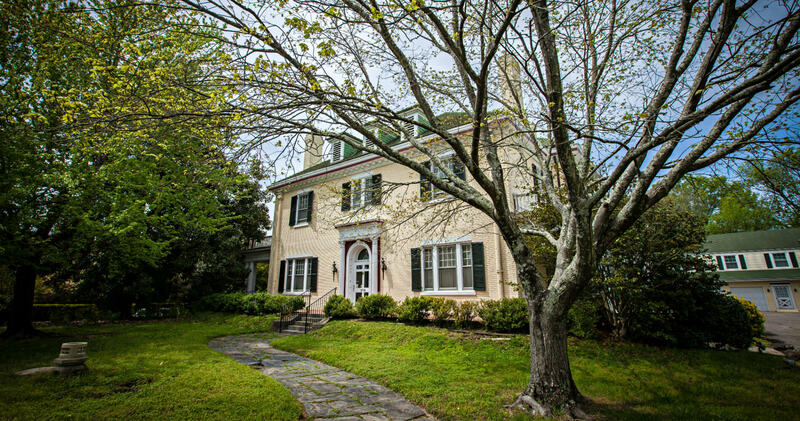 When you stay at Morehead Manor, our Durham, NC bed and breakfast, you will have the opportunity to explore all that this wonderful area has to offer, as well as enjoy our Colonial Revival-Style home. We want your time with us to be relaxing and rejuvenating. Every morning you will be served a delicious home-cooked breakfast that will fuel you for a great day of adventure in the Raleigh-Durham area. Our inn is conveniently located near Downtown, making this a great place to come for a business retreat. Many other attractions are nearby, including the Raleigh-Durham International Airport, Research Triangle Park, Duke and North Carolina Central Universities, numerous museums, shopping areas, and more. Morehead Manor is an exceptional hotel alternative for your time in North Carolina – we look forward to your visit! From I-85 North: Exit 176 – Downtown/Durham Freeway (Hwy 147). Proceed on the freeway to Exit 13 – Chapel Hill Street, turn left at the intersection, make a right at the traffic light onto to Gregson Street. This becomes Vickers Avenue after you go over the overpass. Morehead Manor is two blocks past the Durham Police Department. From I-85 South: Exit 176 – Duke/Gregson Street. Make a left onto Gregson Street. Proceed past Brightleaf Square & the Durham Police Department. After the overpass, Morehead Manor is two blocks down on the right. From I-40 West: Exit 279-B onto the Durham Freeway North (Hwy 147). Proceed to Exit 12C – Duke Street. Turn left at the traffic light onto Jackson Street, then left onto Gregson Street. After the overpass, Morehead Manor is two blocks on the right. I-40 East: Exit onto Hwy 15-501 North and follow the directions below. From the South Square Area (Hwy 15-501 North): Follow Hwy 15-501 Business to University Drive. Drive past Forest Hills Shopping Center, then turn left on Duke Street. Make a left turn at the second light onto Jackson Street. Come over one block to Gregson Street and make a left. After the overpass, Morehead Manor is two blocks on the right. We look forward to having you as our guest at Morehead Manor!